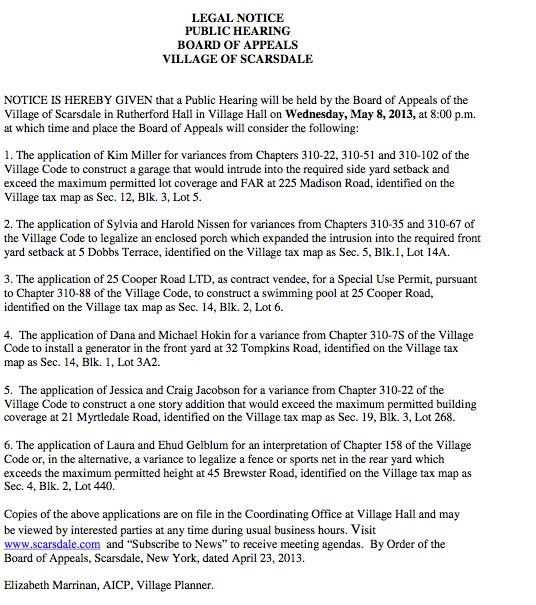 There is a Zoning Board of Appeals meeting on Wednesday May 8th at Village Hall. This is the Agenda I received: Please scroll all the way down. Please distribute this to Chairs and Members of all three land use ( land abuse so far... ) Planning, BAR and Zoning and let them know that I am, as I have done at the two previous Planning Board meetings ( April and March ) appealing on behalf of all that do not have a voice ( flora and fauna ) as well as those in this town who have had enough of this assault and wish all "development" ( harassment of our land, values and heritage ) to stop effective immediately. Please start planning for a better Scarsdale now. As Newton said " All action has an equal and opposite reaction " there is a cause and effect relationship here, that our elected and appointed officials have to acknowledge finally, and once and for all. You may have heard I do not exactly support all this building. In fact a while ago I suggested you stop all this building: Email to the ZBA on February 13th, 2013 that is attached below. I hope this new board can and will finally take the right environmentally responsive action and stop acting like we are back in 1701 in Scarsdale. http://www.thepetitionsite.com/366/111/992/preserve-and-conserve-scarsdale-our-village-in-a-park/ and follow my blog here: http://www.save-scarsdale.org. I categorically and indiscriminately oppose all applications in front of you and move that you take action to protect our environment once and for all, starting tonight. For a starter, all building and demolishing should be stopped in the A-3 residential district which is already very crowded and congested tonight. CONFIDENTIALITY NOTICE: This email message and any attachment (s) could consist of information that is privileged,confidential, and/or exempt from disclosure under US and international law. As such, it is to be reviewed and read only by the intended recipient(s) as indicated above. Any unauthorized review, use, disclosure or distribution of this message is not permitted. This applies to this email as well as past, and/or any other future email(s) from this sender as the case maybe, irrespective of whether this confidentiality notice is appended to the message or not. If you are not one of the intended recipients as indicated above, have received this e-mail message in error please immediately inform the sender via return email and delete all copies of the original message. If you are not one of the intended recipient(s), you are hereby notified that any disclosure, copying, distribution, use or reliance of information contained (t)herein is strictly prohibited. Although this transmission and any attachment (s ) are believed to be free of any virus or other debilitating defect that might affect any computer system to which it is received and opened, it is the responsibility of the recipient (s) to ensure that said message is virus free and no responsibility is accepted by the sender, its subsidiaries and/or affiliates, as applicable, for any loss or damage arising therein. Thank you for your prompt attention to this matter. Consider our limited, endangered resources. Try not to print. If you must, recycle after use. Only dust gathers by itself.
" Ask not what your country can do for you, ask what you can do for your country". Attached please find the Board of Appeals Agenda for May 8, 2013. Please contact the Planning Department if you have any questions at planning@scarsdale.com. Please do not reply to this email. For a list of departmental contacts, click here. As you requested, I will distribute your email to both Boards. I am very sorry to read and to have received the agenda below for the ZBA tonight, February 13th, as well as the Planning Board agenda for February 27, in spite of all my recommendations and correspondence, to the contrary. I oppose all and every single one of the applications below as well as the applications on the Planning Board agenda. 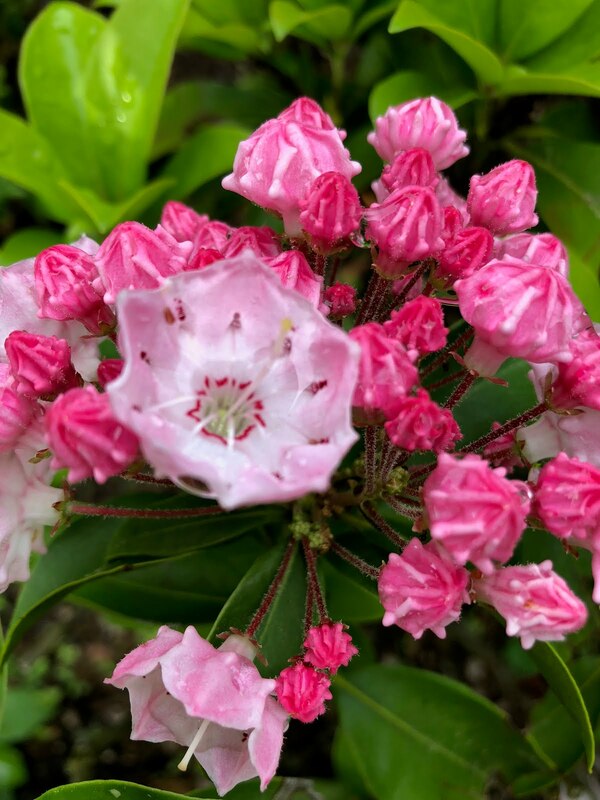 No application deserves to be brought up to these Boards any more and further in view of current environmental considerations the applicants themselves should be cognizant of the damage they are causing and exercise restraint and control. However, none of this evident, at least to this observer. We accuse our teenagers going on binge drinking, however the "adults" are engaging in similar irresponsible behavior and further encouraging and promoting such behavior by their very own actions in the way they deal with the environment and the economy- all of which is transparent right here in Scarsdale. I call on you, our leaders here in Scarsdale, to lead by example and call a stop to such reckless, irresponsible and negligent behavior on the part of our environment as well as our economy. None of this is acceptable any more. Ms. Marrinan: Please distribute among the ZBA and the Planning Board members. Ms. Conkling: Please distribute to the VB. Attached please find the Board of Appeals Agenda for February 13, 2013.